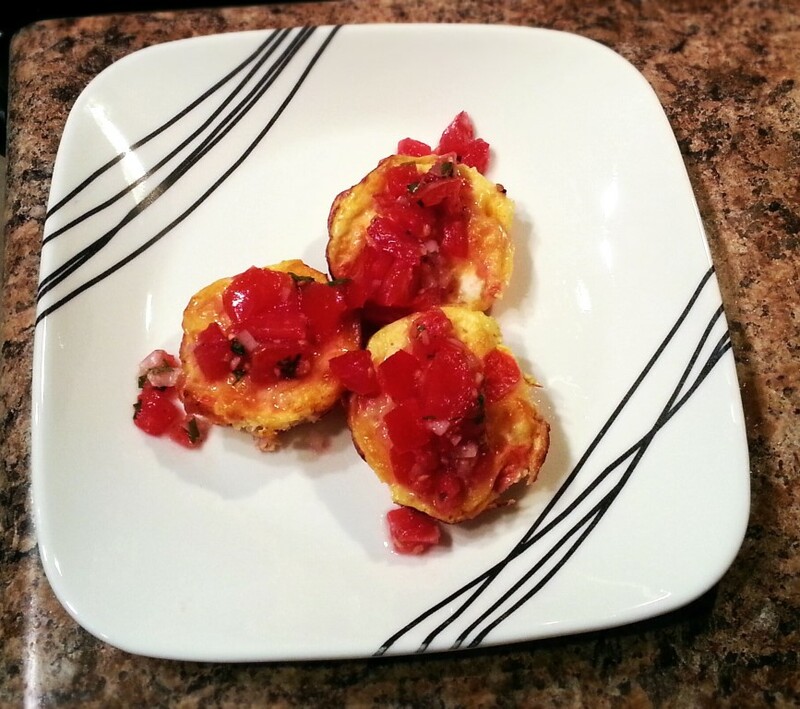 Baked egg cups are a great breakfast option for those of you who are always on the go in the morning and looking for a quick, healthy way to start off the day. Not only are they loaded with protein, they’re customizable and can satisfy all the unique tastes in your family. 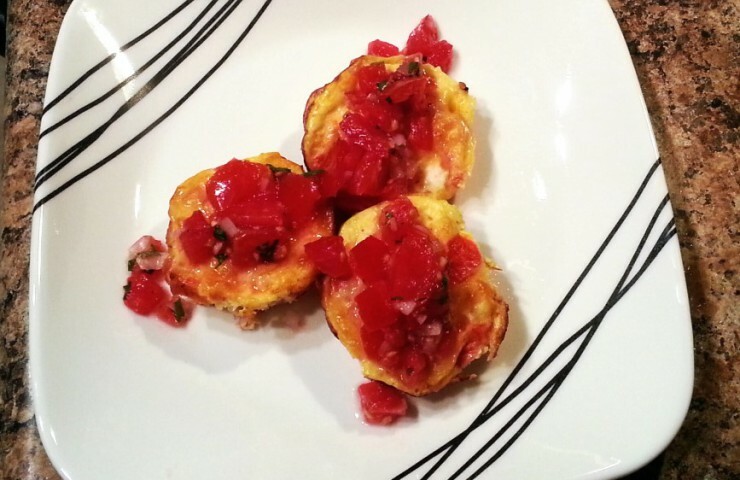 Start off with eggs and milk, and toss in any vegetable, meat and cheese you like. 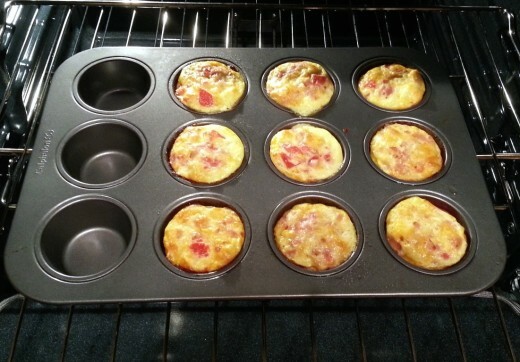 Baking in a muffin pans creates individual servings and allows you to prepare several variations at once. The best part about this recipe is that they can be made ahead of time; they store great in the fridge and can be reheated throughout the week, making your life even easier in the morning. There’s no need to take out the frying pan and practice your short order cooking skills every day. Convinced yet? Try them. You won’t be disappointed. First, preheat the oven to 350°F. Then do a little chopping and prep work. 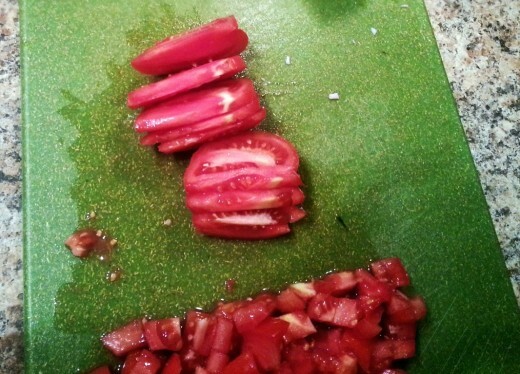 Dice up an entire tomato. 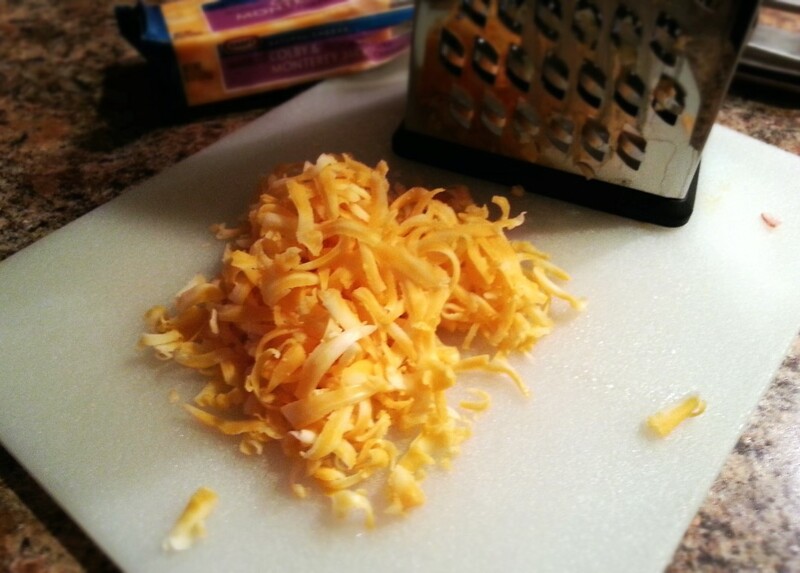 Shred about 1/2 cup of cheese. 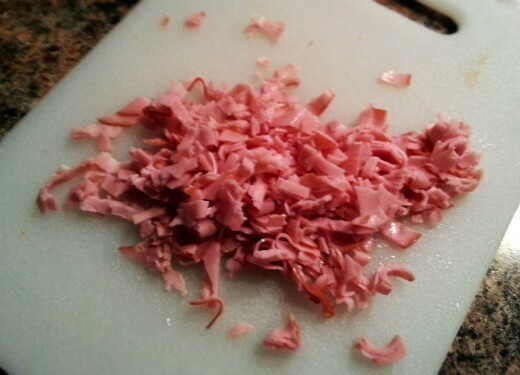 Roughly chop about 5 slices of ham. Crack 5 eggs into a medium sized bowl. 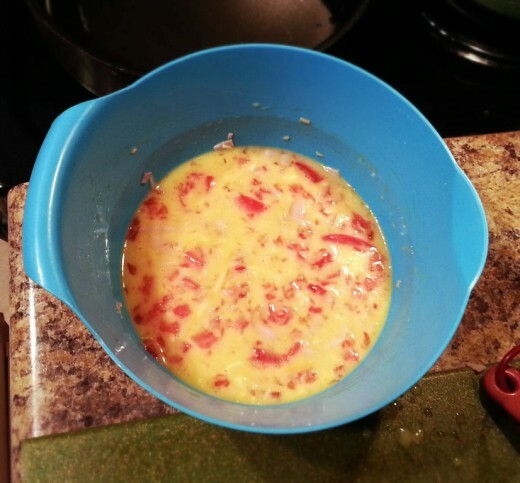 Add in 1/2 cup of milk and whisk until combined with the eggs. Add in the tomatoes, ham, and cheese. 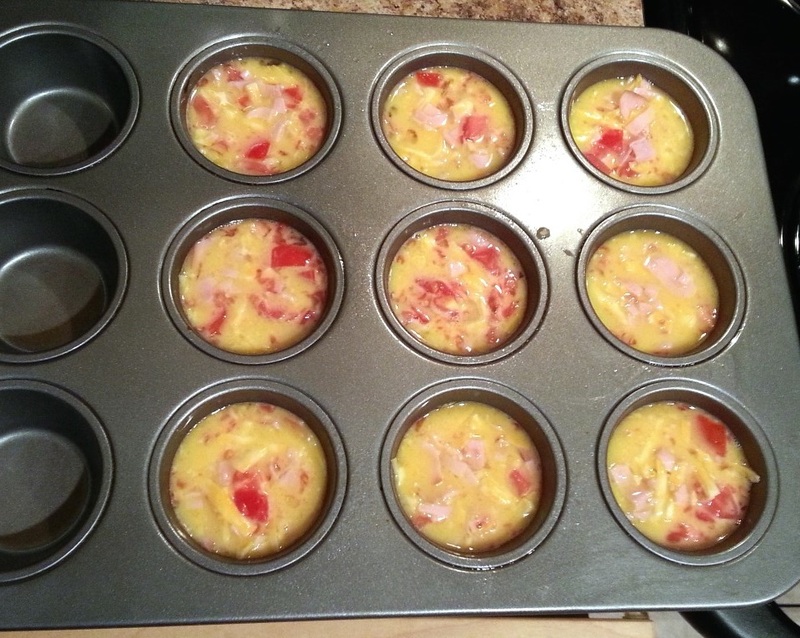 Evenly distribute batter throughout a greased muffin pan. Bake for 15 to 20 minutes, until the eggs are set. Let stand for at least 5 minutes before removing from the muffin pan and serving. 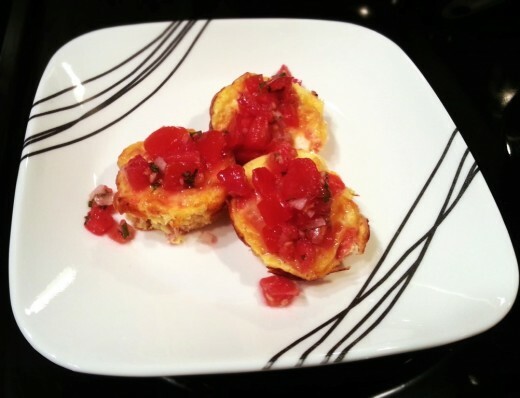 I enjoy topping these with homemade salsa and a dash of hot sauce! 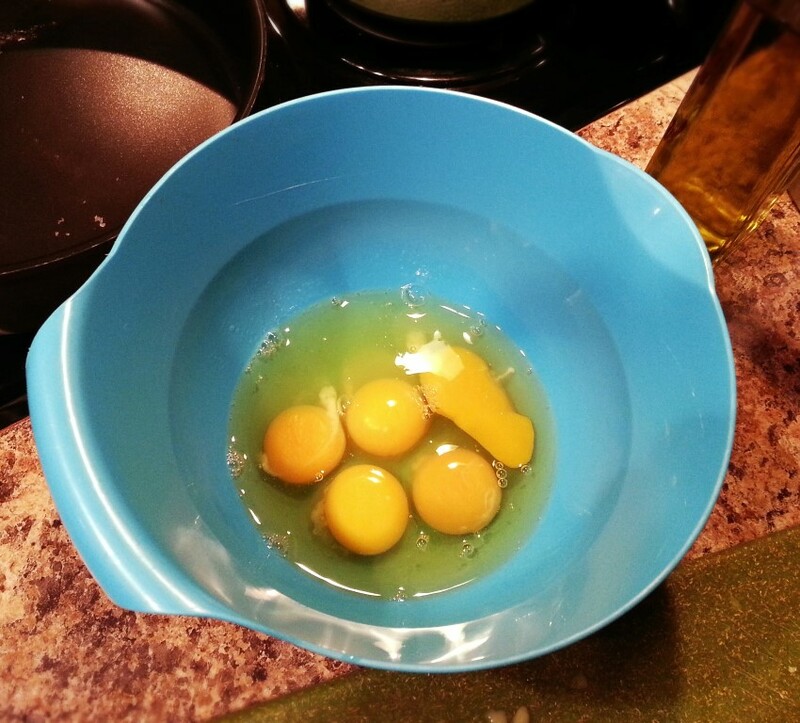 Whisk eggs and milk until combined. Stir in diced tomato, ham, and shredded cheese. Evenly distribute batter between a greased muffin pan. Bake 350°F for 15 to 20 minutes, until eggs are set. Try serving these with salsa, especially homemade, or hot sauce. Delish! « Try out a CSA for 2 weeks!